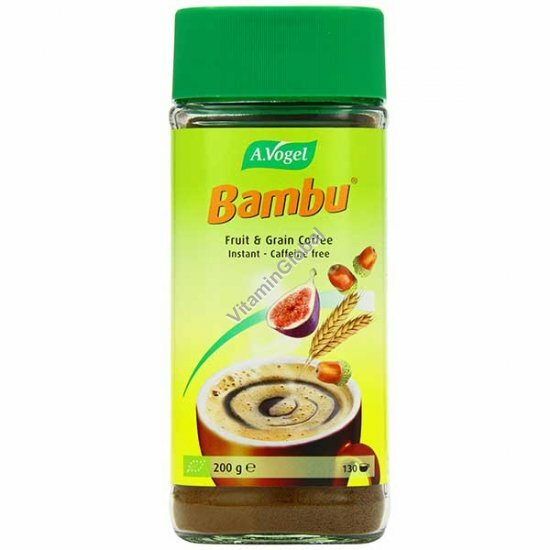 Bambu is a 100% natural coffee alternative. The recipe was created by Alfred Vogel more than 50 years ago and contains organic chicory, Turkish figs, malted barley, wheat, and Greek acorns. Ideal for people suffering from nervousness or sleeplessness. Ingredients: chicory, wheat, malted barley, figs and acorns.